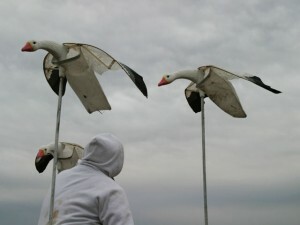 Waiting on the spring flights of snow geese. 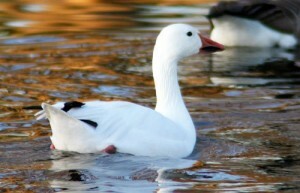 DOVER (Jan. 23, 2013) – Since 2009, the Delaware Division of Fish and Wildlife has implemented an annual Snow Goose Conservation Order as part of an Atlantic Flyway-wide effort to reduce the population of greater snow geese. 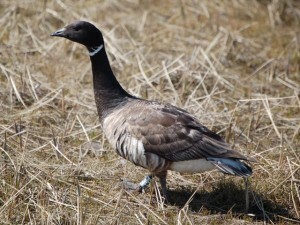 Snow goose numbers have reached levels that are now causing extensive damage to their breeding grounds in the Canadian Arctic as well as the wetlands and agricultural areas where they overwinter in the Mid-Atlantic, including Delaware. 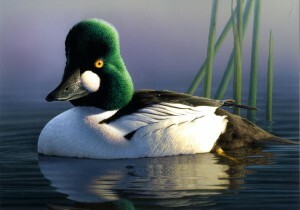 The 2013 Conservation Order will open on Monday, Jan. 28 and run through Saturday, April 13. 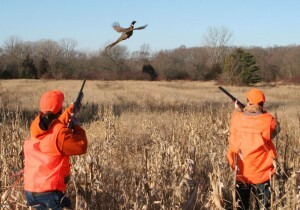 Students who need to complete a hunter safety course to get their hunting license can now take the first step of that training on their smartphone, tablet or laptop at www.hunter-ed.com. 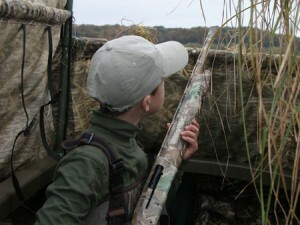 More than 90 million U.S. residents 16 years old and older participated in some form of wildlife-related recreation in 2011; that is up 3 percent from five years earlier. The increase was primarily among those who fished and hunted. 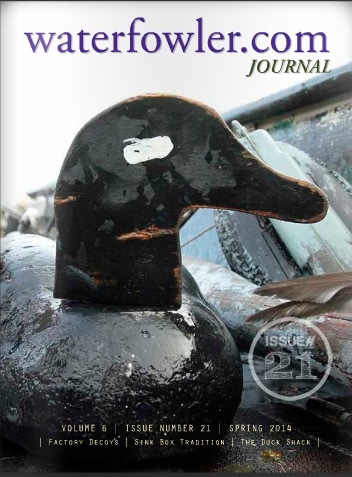 ITHACA, N.Y. – “In terms of speed and the breadth of material now accessible to anyone in the world, this is really revolutionary,” says audio curator Greg Budney, describing a major milestone just achieved by the Macaulay Library archive at the Cornell Lab of Ornithology. All archived analog recordings in the collection, going back to 1929, have now been digitized and can be heard atwww.MacaulayLibrary.org. 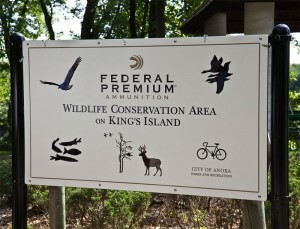 ANOKA, Minn. – August 31, 2012 – The Federal Premium® Wildlife Conservation Area at Kings Island was recently dedicated and is now open for hunting just in time for the fall season. This piece of land sits on the banks of the storied Mississippi River and is located minutes from Federal Premium’s Anoka, Minn. factory.